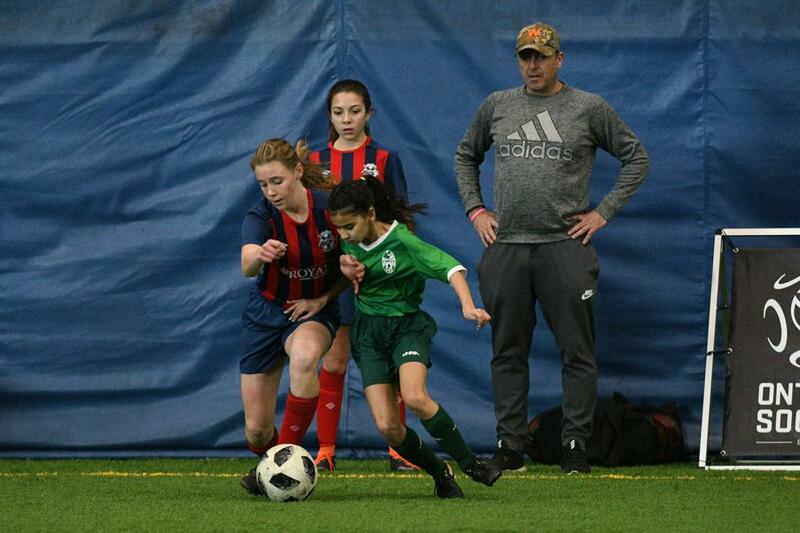 The Ontario Indoor Cup U-14 Girls finals took place on Sunday at the Ontario Soccer Centre, in Vaughan, as Erin Mills Eagles took on the Caledon Cyclones. 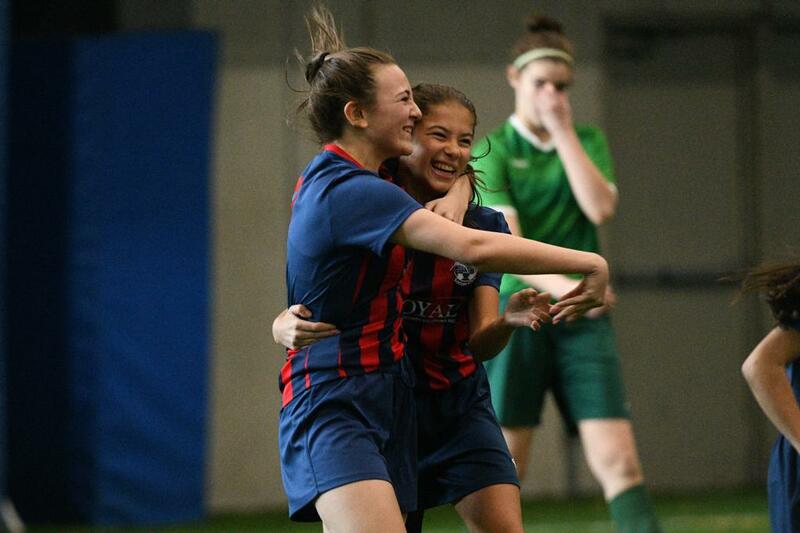 The Caledon Cyclones got off to a quick start as Angelina Kristic made a clever turn and her left footed shot found the corner in the 3rd minute to make it 1-0. The two traded chances throughout the remainder of the first half but neither side was able to find a way through. Just as Caledon started the first half quickly, so too did Erin Mills in the second half. Caledon answered right back a minute later however. Isabella Mazzaferro got on the end of a corner kick cross and she restored Caledon’s lead to 2-1. Erin Mills would press desperately to find the equalizer, with one chance being cleared off the line but they weren’t able to find a way through. 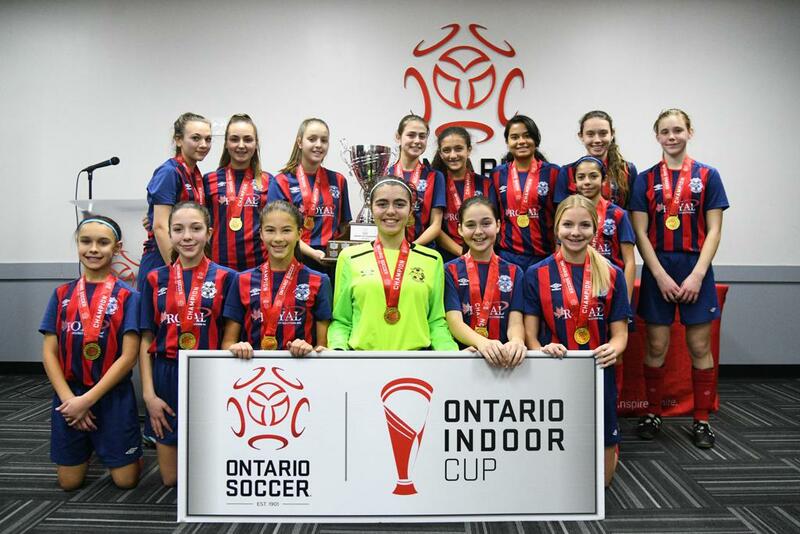 Caledon would hold on and capture the U-14 Girls Ontario Indoor Cup.